Unibet started on a simple premise: a place for people to share their betting know-how with others to help them make more informed bets. This is still their driving philosophy today. Unibet says they want to make sure players are at the centre of everything they do. The company is also part of the Kindred Group, one of the largest online gambling companies around. The mobile site is well designed. As soon as you access it you're given some friendly warnings about responsible gambling (and the usual cookie policies), as well as everything else you need. The layout is nice and clear so you can get to your favourite sport without hassle. You'll find everything on both the app and mobile site that you can find on the desktop site. However you're accessing their content, Unibet have made the experience as clutter free as possible. The green and grey colour scheme makes sifting through the odds simple and bets are nicely organised by tabs so you can find the day you're looking for. There's no excessive advertising, which makes the whole experience a great deal more pleasant than other sites with annoying pop-ups. A help centre is available for any queries you might have. The latest odds are available across a wide range of sports, including some US leagues like the NBA, as well as Aussie rules and rugby. You can quickly find these thanks to a side bar, so there's no wasting time with search bars and endless clicking through pages. You shouldn't have any problems using their desktop or mobile sites regardless of what browser you're using (although keep in mind that most software developers are always going to optimise their products for the most-used browsers like Chrome and Safari). It's simple to switch to the app if you're already accessing their site from a desktop or tablet, too, which is really handy for gaming on the go. You won't find the best odds on Unibet, but that doesn't mean they aren't still competitive. Australian Rules Football odds tend to come in at around the 1.91 mark, with 1.90 for head to head games. These are similar when it comes to European and US leagues too. One thing Unibet really excels at is giving punters access to a huge variety of international sports. You can access all the standard forms of online betting you'd expect from a bookmaker, as well as the streak service (you'll need to be registered to use this). In addition to the betting options, there are some nice additional touches like the Unibet blog and Punter of the Week which can be fun to engage with while you weigh up your options. There's an extensive and very helpful support system in place on Unibet's site, so it's very easy to find a solution to some of the most common problems. The getting started section tells you everything you need to know about setting up an account, how to keep your details safe and what kind of system you'll need to run the site and stream successfully. You can deposit money using BPAY, as well as debit and credit cards, or even PayPal, which gives you plenty of options. 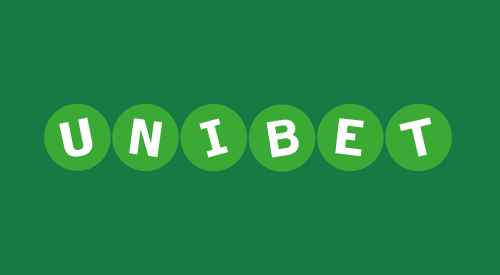 If you get really stuck and the information on the site itself isn't enough, then you can instant message a member of the Unibet team (response time is usually around two minutes) or give them a call on their dedicated customer support line. If you want a clean and comprehensive sports betting service with lots of focus on responsible gambling, Unibet is a great choice. Unibet are committed to responsible gaming and have picked up a number of industry awards including 'most socially responsible operator'.